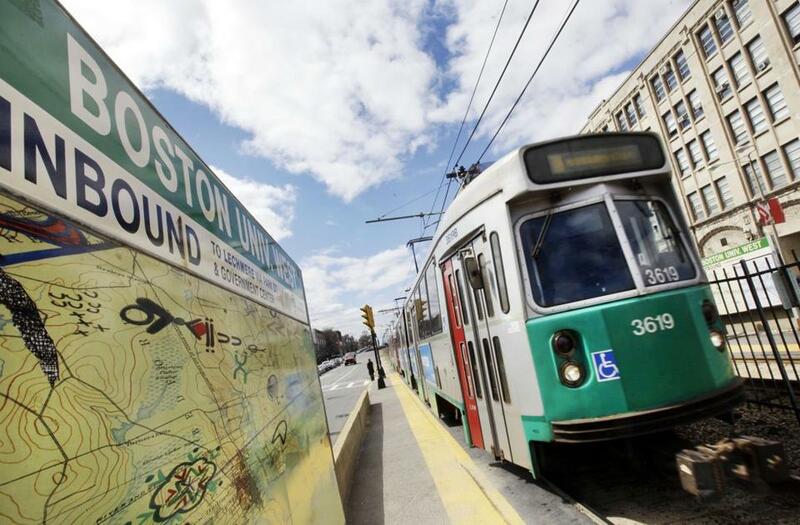 The T’s economic troubles may have consequences for the economic development of Boston. Greater Boston wants a world-class future, but without a functioning transit system those hopes will go off the rails. The MBTA’s mounting troubles are evident to all of us who ride the system regularly, and individual tales of woe abound. Last week on consecutive afternoons, my normal 20-minute Red Line ride home to Central Square turned into 40-minute and 60-minute odysseys because of disabled or malfunctioning trains ahead of me. Meanwhile, one colleague reported that one of his subway rides last week was marred by a deafening rattle and a piercing sound coming from the brakes. Earlier this week, the T happened to come up in an interview I had with MIT marine expert Judy Pederson on coastal issues. She launched into invective about how her normal 90-minute train ride from Worcester (for a mere 45 miles!) turned even slower in extreme heat or cold — or just because leaves are on the track. The T’s many troubles have economic consequences. Consider the case of Kathleen Carspecken, an executive assistant for Physicians for Human Rights, who gets between Hyde Park and Harvard Square on the Fairmount Line and the Red Line. Her commute, normally an hour long, doubles in duration when the Red Line gets hung up and she misses her 5:45 p.m. train. The next one is at 6:45. It is enough to make her contemplate finding a new job closer to home. All the grand plans in motion for the region’s economic development take efficient public transit as a given. Yet growth in the Innovation District, the Seaport, Kendall Square, and the Longwood Medical Area will be choked off without a dependable T system. Smaller residential and commercial projects that could further vitalize Roxbury, Somerville, and East Cambridge depend on minimizing cars and maximizing public transit. The state’s preferred strategy for suburban growth, the revitalization of Massachusetts’ struggling old mill towns, and even the lofty plans for the Charles River Esplanade to reclaim parts of Storrow Drive for parkland all hang on an MBTA that works. Instead, the T at this very moment is driving people in the other direction — back into cars. As the agency struggles with an intractable burden of debt imposed on it in the Big Dig era, it acknowledges that recent fare hikes and service cuts will probably cut ridership 5 percent in the short term. Dense areas of Boston and Cambridge cannot accommodate the cars needed to carry such commuters, and the shabbiness of the system may even make young innovators and veteran professionals avoid Boston. In an era of global travel, you can’t fool people anymore once they’ve experienced public transit in Asia, Europe, and some cities in the United States. Pederson likens the current state of the MBTA to Boston Harbor before its cleanup, saying the lack of maintenance is “just like we kept discharging raw sewage and putting sludge back into the harbor.” Delay by delay, disabled train by disabled train, riders are taking notice. Beacon Hill has to start treating the MBTA like a crisis, lest our dreams of a prosperous future screech to a halt, like a disabled train.